Over the last couple of years website owners and SEO companies have become much more attune to maintaining a clean backlink profile. The rash of penalties handed out by Google served notice to the community that they could no longer engage in rampant link building tactics that had worked to boost their websites in the rankings. Many sites were hit and hit hard and some are still trying to recover from the loss of traffic that penalties caused. For those sites that never received a penalty the word was out that if they engaged in shady link building in the past it was only a matter of time before they would be caught. Many of them began an immediate program to clean up their backlink profile however much of what they did was hit and miss. 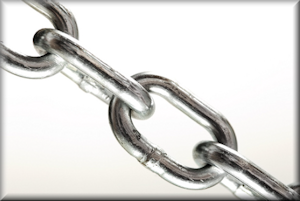 So how do you analyze your backlink profile to make sure you get rid of all those suspicious and damaging backlinks. Rather than just disavowing anything you aren’t sure of it is important to conduct a detailed audit and get rid of those that can be harmful. Start with the Right Tools: There are other tools to assist in this however these are the ones that I use. • Only analyze follow links. These are the ones that can lead to a penalty! • Check Referrals in Google Analytics to see if you receive traffic from a backlink before removing it. • If in doubt, take it out! • Blogroll links, forum comments and anonymous profiles. Backlinks that fall into those categories above can lead to penalties so make sure that you check each backlink individually. Do not rely on a tool to tell you it is a bad link, check it out yourself and use your judgment. Remember that it is better to remove a link that may be good than to leave on that is definitely bad. A penalty can result in a dramatic loss of organic traffic or a complete de-indexing of your site so be careful. Once you have completed your review you can simply disavow those links that you consider possibly harmful and remember to review you backlink profile at least every six months to keep in clean.